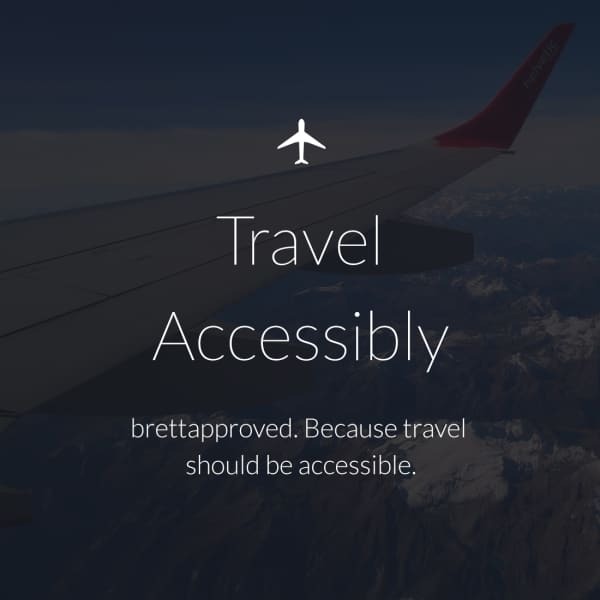 Travel for All is Canada’s first and foremost accessibility-focused travel agency. The company has planned hundreds of trips for travelers with physical and mobility challenges, as well as for travelers with autism and families who travel with children with Autism, travelers requiring dialysis, and more. When CEO, Tarita Davenock was diagnosed with Multiple Sclerosis at age 29, she was determined to ensure that MS would not control her future. Seizing on her passion for travel, the former social worker became an entrepreneur in an industry where she is now acclaimed as the premier expert on this fast growing travel market. Tarita is a Certified Special Needs Travel Advocate, a contributor to the Huffington Post, and host of The Lonely Planet- Travel for All TV and radio Show, as well as the premier Travel Agency Partner for brettapproved.com. In just a few weeks, Travel for All has already helped nearly one hundred travelers to begin planning trips all over the world. Travel for All takes great pride in ensuring that, regardless of your level of mobility or ability, you will have the experience of a lifetime. Special Needs Group/Special Needs at Sea (SNG) is dedicated to fulfilling the requirements for persons who want to travel but may require special needs equipment. We make travel easy, comfortable and accessible. Our trained agents provided service worldwide to 165 metropolitan areas in 35 countries last year. SNG is the leading global provider of mobility, oxygen and other special needs equipment rentals for travelers. Recommended by the world’s major cruise lines for superior service and value, we also deliver to hotels, resorts, theme parks and convention centers. SNG provides a broad range of special needs equipment including wheelchair, walker, power chair, scooter, and oxygen rentals, as well as other essential items. Equipment is delivered directly to the cruise stateroom, hotel or convention center. Our mission grew out of our passion for travel combined with a conviction that the fun and adventure of traveling the world should be available to everyone, despite physical challenges. February 2017 marked our 10th anniversary in Delivering an Accessible World. Since our inception, we’ve made over 150,000 deliveries! Advanced Clinical Associates also offers 24/7 Skilled Nursing Services, Private Duty Nursing Care and Companionship care, designed to help our clients live and travel independently for as long as possible. From in-home care and housekeeping help to nursing home care, and on the road care for business or leisure travel and medical tourism, all clinical services (Medical and Non-Medical) are specifically tailored to fit the needs of both your and your family. Interested in changing the world? Interested in partnering with brettapproved? Drop us a line and let’s make it happen.